Wish you all Happy Ugadi !!! Hope everyone had wonderful day celebrating India's victory as well as Ugadi Festival. 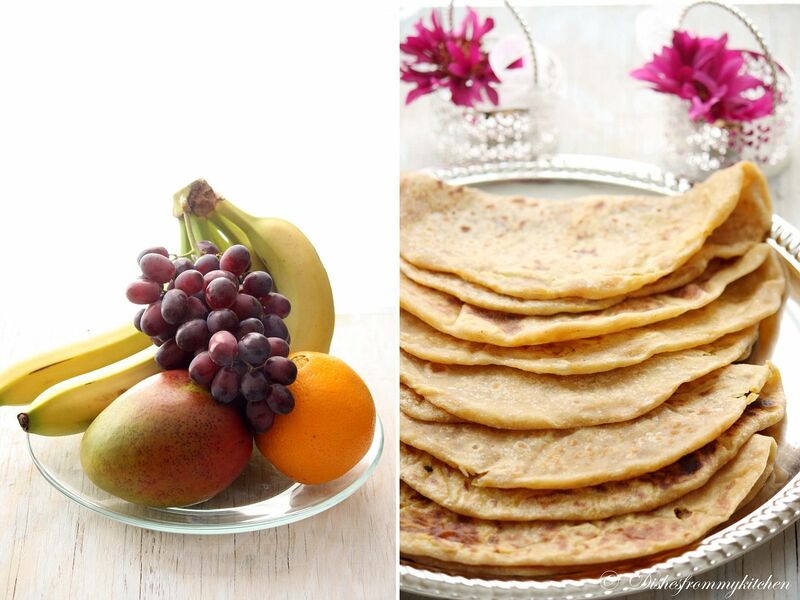 Here are few treats that are made for Ugadi. Traditionally Ugadi Pachadi, Obattu (Poli, Bobbatlu, Holige, Puran poli), Garelu (vada) are made. Ugadi Pachadi symbolizes the mixture of sadness, happiness, anger, fear, disgust, surprise. Once again I wish all of you "Happy Telugu New Year". Hope you all enjoy my virtual treat. There are several varieties that can be used as the stuffing for obattu. But today I am posting the Bengal gram and jaggery stuffing. Extra all purpose flour or Oil for dusting / patting the obattu. 1. In a mixing bowl add all purpose flour, wheat flour, salt, warm oil, and mix well. 2. Add water little by little and knead well. The dough should be loose than the chapathi dough, it should be pliable. 3. Add little oil and cover and keep it aside for at least 5 hrs. 1. Wash and soak the channa dhal in the water for 1/2 hr. Pressure cook the Bengal gram dhal with little turmeric and salt, by adding a cup of water. Pressure cook up to 3 whistles. 2. Once it is cooled down, if there is any extra water drain, other wise mash it to fine paste using potato masher or food processor. 3. Now in a vessel add the jaggery with tbsp of water, switch on the flame, once the jaggery is melted strain and keep it aside. 4. Heat a heavy bottom vessel, add tbsp of ghee add the mashed dhal, strained jaggery, fry until the mixture thickens. 5. Switch off the flame add the powdered cardamom and keep it aside. Let it cool, the mixture thickens some more when it is cooling. 6. Once it is cooled divide them to 13 to 14 equal size balls. 1. Divide the dough to 13 to 14 equal size balls. The ball of the dough should be half size of the stuffing ball. 2. Using oil just make a small circle in the dough ball; keep the stuffing in the middle. 3. Close it as shown, press slightly with your palm. Now dust it with the flour and roll it like a chappathi but take care not to give too much pressure while rolling, just roll softly. If you’re using the poori press just apply the oil and press to the desired thickness. 4. Parallely heat the tawa. When rolling is done put the rolled one on the tawa. When you start seeing the brown spots, add 1/4 tsp of ghee around and smear on the upper part, flip it over and do the same. 5. Cool them on the wire rack or plate. 6. Do the same with other balls. And store them in the aluminium foil; this stays fresh for 3 to 4 days. In fridge up to 10 days. 1. When serving, just warm it in the microwave and serve with ghee. 1. Since I wanted to do healthier version I used Wheat flour , but traditionally its done with Full all purpose flour or with Chiroti rawa + All purpose flour. Sure will post when I get a chance of making this again. 2. The dough for the outer part should be loose than the chappathi dough, only then it result soft and fluffy obattu. This really comes out very very soft like cotton. 3.If your using all purpose flour fully then reduce the amount of Jaggery to 1/2 cup. 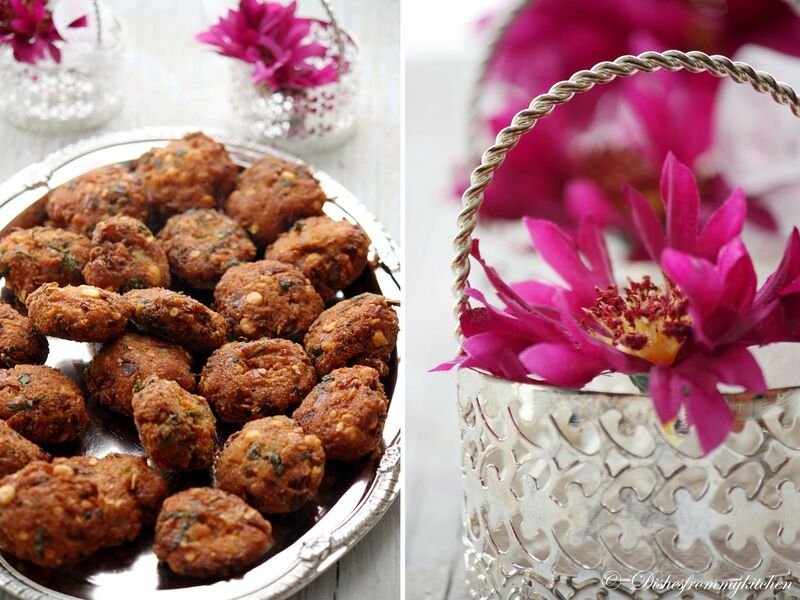 Paruppu vada/vadai or Masal vadai is a popular evening snack in southern part of India. It is an appetizer which can be found everywhere ranging from a local tea shop to a hotel. Enjoy making it in the comfort of your own home. 1.Soak both the dhals in the water for about 1 or 2 hrs. 2.Reserve Handful of dhal before grinding. Now grind the dhal with red chillies, asafoetida, ginger, 1/4 tbsp of saunf to a coarse paste. Now add that reserved whole dhal. 3.Add salt, onion, curry leaves, green chilli, remaining 1/4 tbsp of whole saunf, cilantro. Mix the vada batter until everything is blended well. 4.Heat oil in a heavy bottom vessel. To check if the oil is ready, add little batter to the hot oil. If the batter comes up without sinking then the oil is ready for frying. 5.Take a small ball pat slightly and carefully drop them in hot oil, you can drop 6 to 7 depends on the size of vessel you use. 6.Now slightly reduce the flame, let it brown on one side, once it is done flip it over and let it brown on other side too. 7.Once it is done, drain it in a kitchen tissue to absorb excess oil. 8.Do the same with remaining batter. Serve with Coconut Chutney or Ketchup!!! 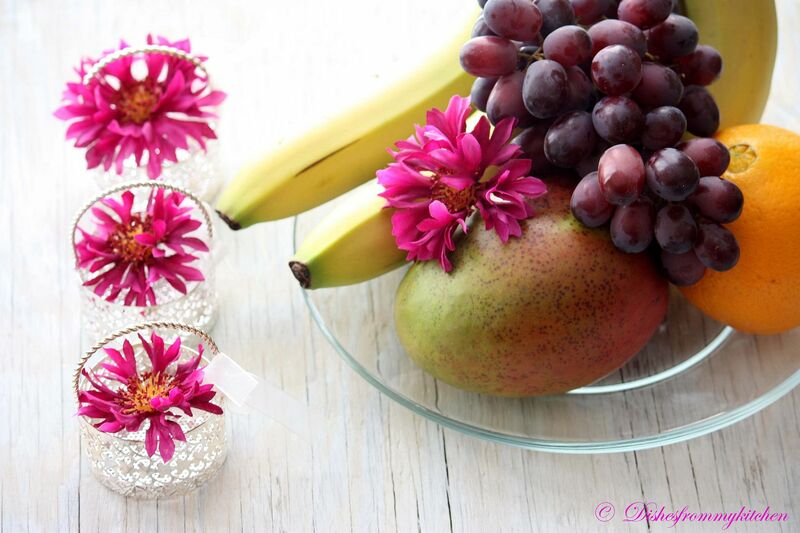 Wow Pavithra...What a festive spread...Wishing you a happy Ugadi as well. In Maharastra they make Puran Poli..which seems to be same like ur Obattu.I was thinking abt making some..now with this post I'm definately making them soon.Awesome Clicks and superb Presentation !!! Wow what a spread! Happy Ugadi to you & your family! Happy Ugadi to you too Pavi, Your visual treat is extremely attractive and I wish I was with you to celebrate. Love the polis and the vadais. Perfect! Obattu and vadai looks delicious, mouthwatering pictures! What great photos and recipes! Yum! So wonderful. I wish our culture was as rich as yours! Happy Ugadi to you and your family dear!!! 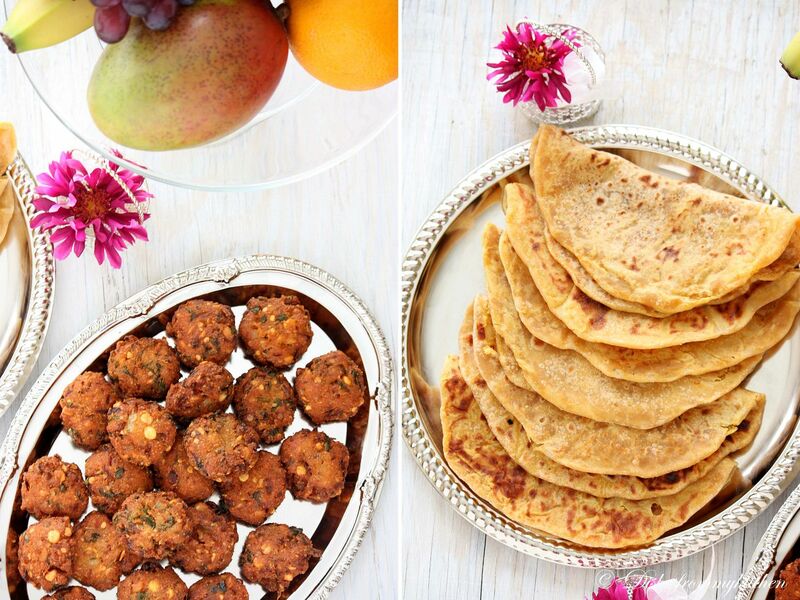 Happy ugadi to you and your family...excellent pics and lovely recipes..
Oh what a wonderful choice for a new year's day! Double like the items. And the pictures are awesome! They both r very awesome and perfect for Ugadi!...Happy Ugadi to u too! Wish you and your family a very Happy Ugadi dear! 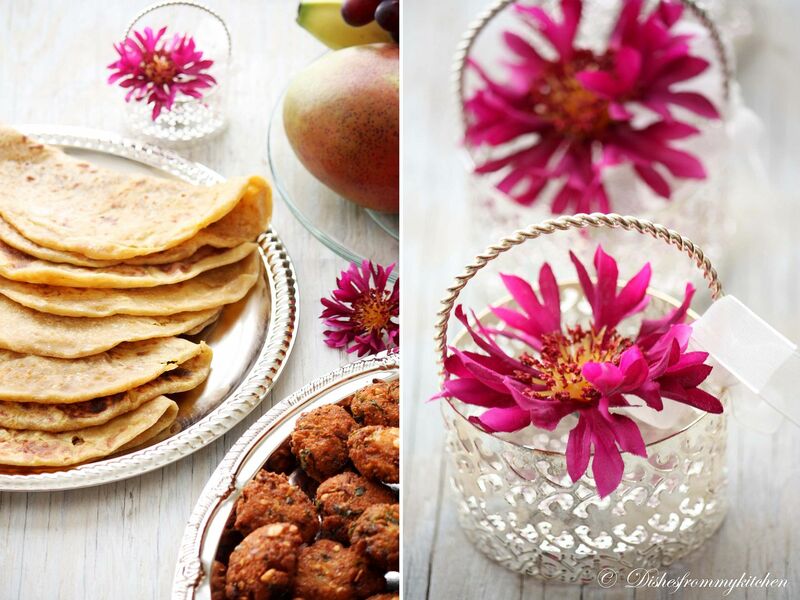 wish u n ur family happy ugadi dear...what a beautiful platter this is ...what a beautiful presentation n amazing clicks ! Thanks for the virtual feast. it was great and am still having the hangover of those lovely vadas and stuffed paranthas, sounds sumptuous. Wish you and your family happy Ugadi too....CHEERS ! Happy Ugadi.. beautiful pictures as always. Wish u happy ugadi dear !! yummy dishes !! loved ur presentation !! Wish you and family a very happy ugadi, pavitra.. Wish u a happy ugadi pavitra. I have tasted this yummy dishes yesterday in my friend's place who invited me for lunch. perfect vada n poli!! !lovely pics n click! Happy Ugadi to you. Its really a very great delight to view all the clicks and its beautiful. Both obattu and garelu looks absolutely yummy!! Awesome clicks..Happy Ugadi!! 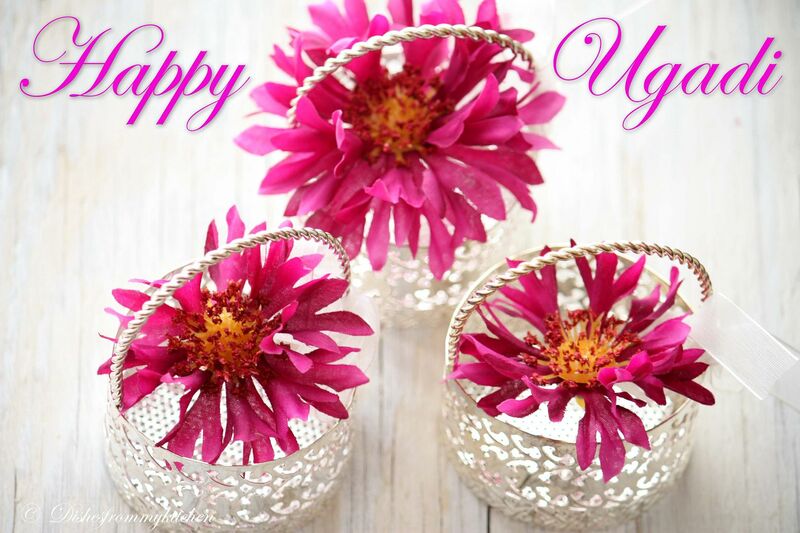 Pavithra, wish you and your family a very happy and prosperous ugadi. Nice dishes. Love both of dem....guess wat even I posted that today..:)chk out my place too..
Beautiful Spread...Happy Ugadi to you and your family!! Happy Ugadi wishes to u and ur family Pavi..both obattu and garelu looks irresistible and inviting..
You have a nice blog.Please accept an award from my space. Ugadhi wishes to you & your family! Great clicks! 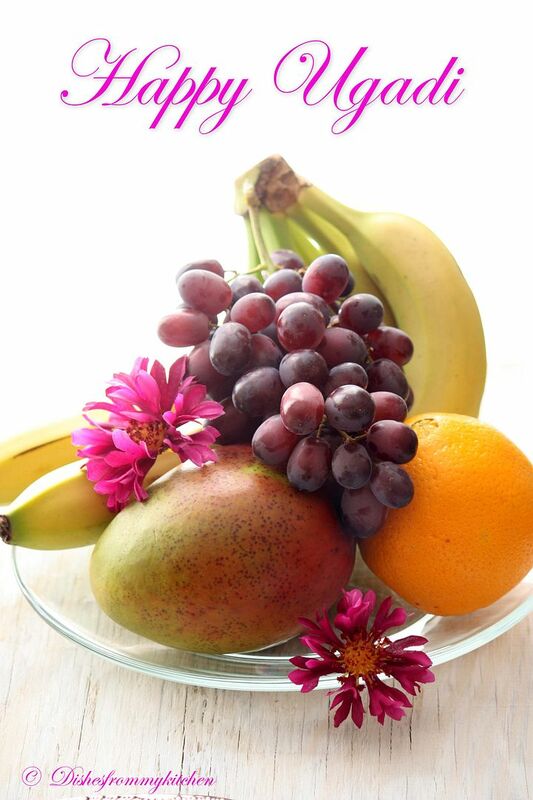 What a mouth-watering bunch of foods! Love the pretty flowers too. Happy Ugadi to you. 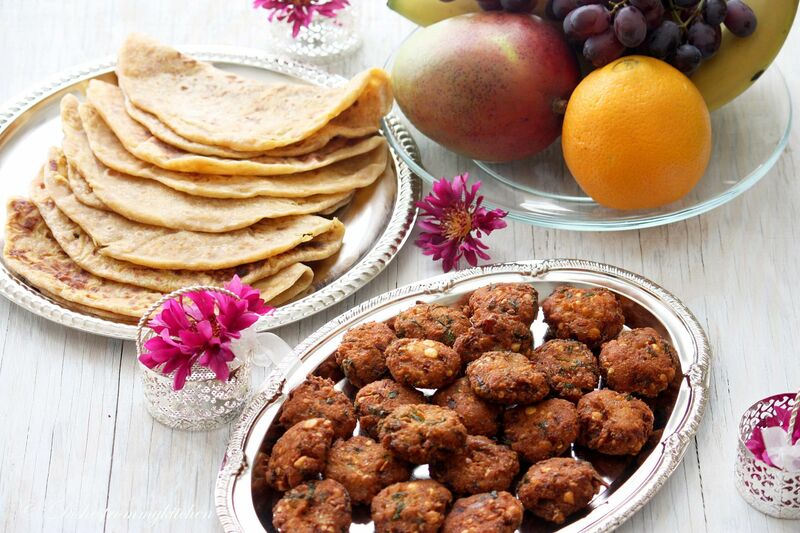 Ugadi sweets and savoury are fantastic, I wish I could have visited your home for Ugadi so I could have eaten those. Awesome dishes. ஒவ்வொரு பொருட்களையும் நம்முடைய உணர்வுகளுடம் சொல்லி இருப்பது அருமை...படங்கள் அனைத்துமெ அருமை...வாழ்த்துகள்..
Belated wishes dear,love both obattu and garelu...Fantastic clicks. Belated ugadi wishes,delicious obattu n vada .What a lovely feast pavi . Gal I adore your pictures...a Total WOW!!! happy ugadi to u too! what a lovely space u have. Belated Ugathi wishes to you! 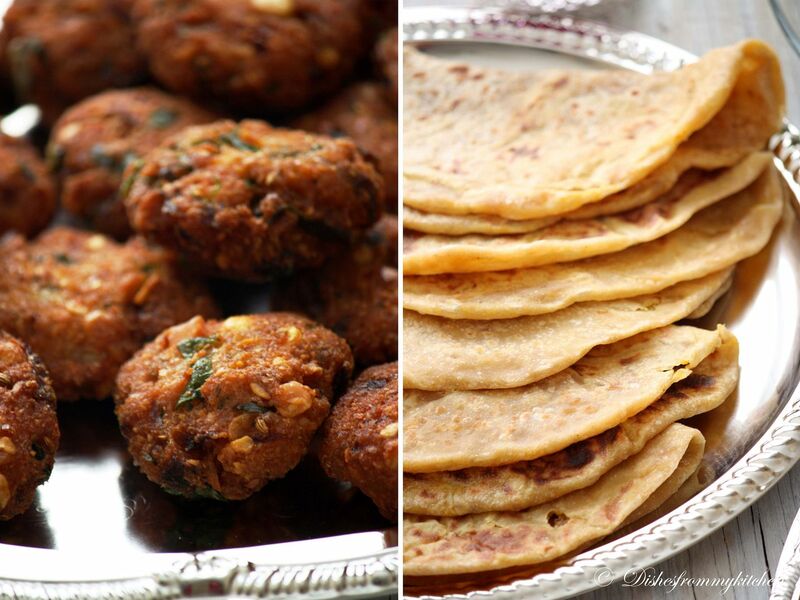 masal vadai and obattu seem obsolutely delicious! wow! obattu!! reminds me of my life in bangalore... and such great clicks! i almost reached in to help myself to a parippuvada... yum yum! Your visual treat is extremely attractive and I wish I was with you to celebrate. Love the polis and the vadais. Perfect! 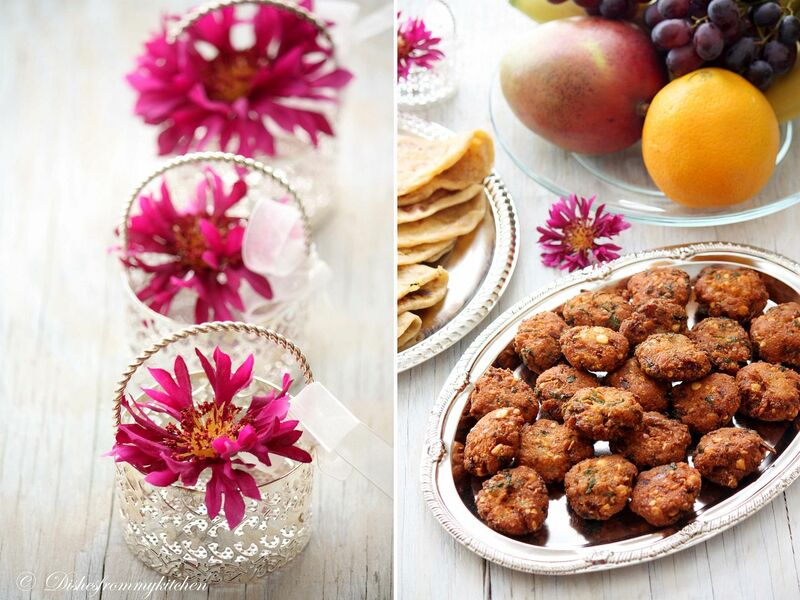 HAPPY UGADHI, REAY VIRUTUAL TREAT, BOTH POLI AND VADAI LOOKS YUMMY.AWESOME CLICKS AND AWESOME PRESENTATION. Thanks for sharing great post. All food recipes are nice and delicious. I suggest everyone to visit this site for new recipes.